Unveil glamorous, healthy skin with tips prepared by our skincare expert, Cecilia Weidner. Look outside. Do you see the rays of sunshine gently breaking through weightless clouds, delicately illuminating the buds and blossoms on the trees? Spring is in the air. Nature is awakening! Now, take a closer look at your skin. Is it equally luminous and bursting with energy? Perhaps it lacks that essential glow and looks dry. Winter has taken its toll on your skin. Thankfully though, lackluster skin is not permanent. You can have your skin looking spring fresh and glorious by following Cecilia’s program. The tips she has prepared will help enliven your skin for spring and get it ready for summer. To begin, remove all your makeup with the cleanser of your choice – a gel or micellar water suitable for your skin type. If you have normal or combination skin, you might try a cleanser from our Skincode Essentials line. The Skincode Essentials purifying cleansing gel thoroughly cleans and moisturizes the skin. If your prefer not to use water, just apply Skincode Essentials micellar water all-in-one cleanser on a cotton pad and get immediate softness and comfort. If your skin is oily, you can use Skincode Essentials S.O.S oil control clarifying face wash twice a day. This gentle cleanser includes a powerful Pore refining active which tightens pores, reduces imperfections, and eliminates shine. If your skin is dry or very dry, you can pamper it with the luxurious, soft, milky texture of Skincode Exclusive Cellular Cleansing Milk. It contains the ACR Complex that boosts the production of collagen. After cleansing, thoroughly rinse your skin with lukewarm water and pat dry or tissue off. Do not wipe aggressively or make any other movement that could stretch the skin. Dead skin cells, dirt and makeup form a barrier on the skin which prevents the beneficial ingredients in skincare products from being absorbed into the skin. Exfoliation removes that barrier and opens the way for products to penetrate more deeply into the skin, making them more effective. 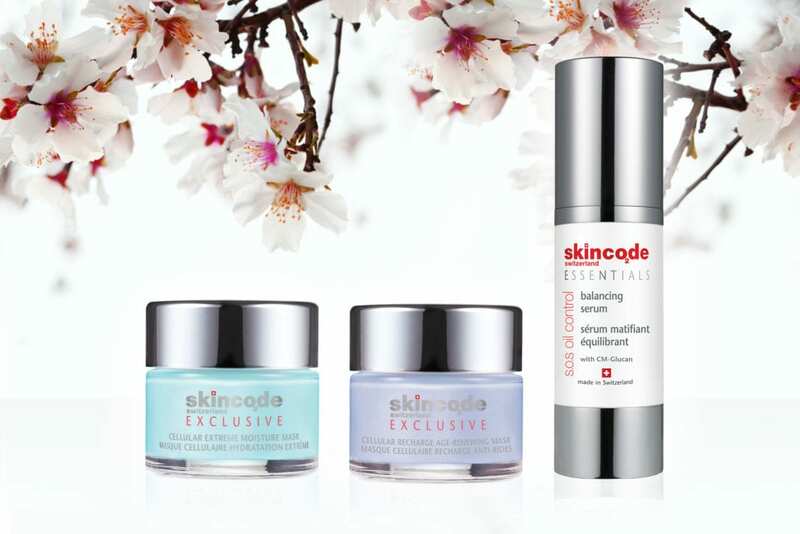 Start with Skincode Essentials extra gentle skin resurfacing cream (for all skin types). Use it twice a week to get the most out of this gentle yet effective exfoliation routine. The cream contains ingredients that gently remove dead skin cells, dirt and sebum while at the same moisturizing the skin. Apply a generous layer of the Skincode Essentials extra gentle skin resurfacing cream over the face and neck area – make sure you cover the crow’s feet area around the eyes. Remember that dead skin cells and dirt also accumulate in the fine lines. 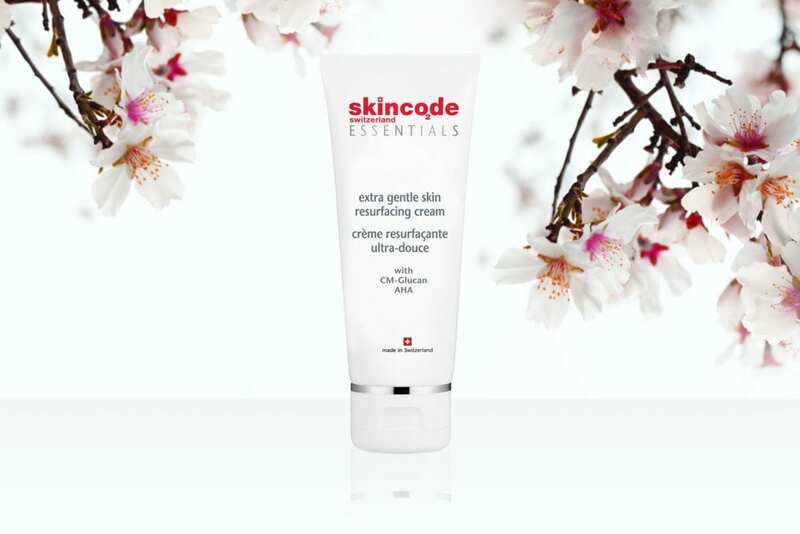 Leave the Skincode Essentials extra gentle skin resurfacing cream on for 5-10 minutes and rinse off with lukewarm water. Never use hot water near the skin on the face as it could lead to the formation of burst capillaries (telangiectasias and eventually couperose). No friction, rubbing or steam is needed with this product. Your skin will feel silky soft and will appear more radiant. Toning always follows exfoliation. It is an essential part of any beauty routine because it helps to re-establish the healthy pH-value of the epidermis (the outer layer of the skin) and ensures that the skin is completely clean, so you derive the maximum benefit from the products you apply afterwards. Skincode Essentials fortifying toning lotion (for all skin types) combines the exfoliating properties of Lactic Acid with the conditioning characteristics of Shea Butter. Our Skincode Exclusive Cellular Revitalizing Toner (for dry and very dry skin) boosts the production of collagen thanks to the unique ACR Complex. After exfoliating, continue the special treatment by applying a layer of Skincode Exclusive Cellular Moisture Mask or Skincode Exclusive Cellular Recharge Age-Renewing Mask. These two masks are combined in a treatment program we call “MultiMasking”. Here are the steps we recommend to fully enjoy the benefits of MultiMasking. Use the two masks twice a week on alternate evenings. For example, on Monday you can apply a generous layer of Skincode Exclusive Cellular Recharge Age-Renewing Mask over the face and the neck area. After 10-15 minutes, tissue off the excess, tone and apply the appropriate serum and cream. On Wednesday, apply Skincode Exclusive Cellular Extreme Moisture Mask, which makes an excellent moisture veil and can be left on overnight. Remember to always apply the appropriate serum for your skin type. Serums contain active ingredients in a higher concentration than creams, and this allows them to target problem areas more effectively. Your skin will look and feel radiant, luminous and healthy within two weeks. To restore a radiant, healthy look to your skin, follow the Skincode Essentials S.O.S Oil Control beauty routine. The line is specifically designed for oily and breakout-prone skin. It works deep down to help regulate oil production, gently drawing out congesting impurities, calming and soothing your skin. It also helps tighten pores for fresh, younger-looking skin with a perfect matte finish. Use twice a day for the best results. After cleansing (with Skincode Essentials S.O.S oil control clarifying wash) and exfoliating (Skincode Essentials extra gentle skin resurfacing cream), apply Skincode Essentials S.O.S oil control balancing serum. This serum contains pore refining active ingredients and a mattifying agent for a perfectly matte complexion all day long. It’s the ultimate shine stopper. Finally, apply the eye contouring cream of your choice, followed by Skincode Essentials S.O.S oil control mattifying lotion. You are now ready to apply your makeup, because you have the perfect canvas. 4 ways to revitalize your skin this spring Summertime, summertime!